The athlete featured this month is no other than Natacha Rigobert. She is a dynamic force on the beach. Let’s dive in and see what we can find out about her. How did you start to play volleyball: I saw it at school and I got caught into the game. The first time I tried it was terrible because I kept missing the ball. 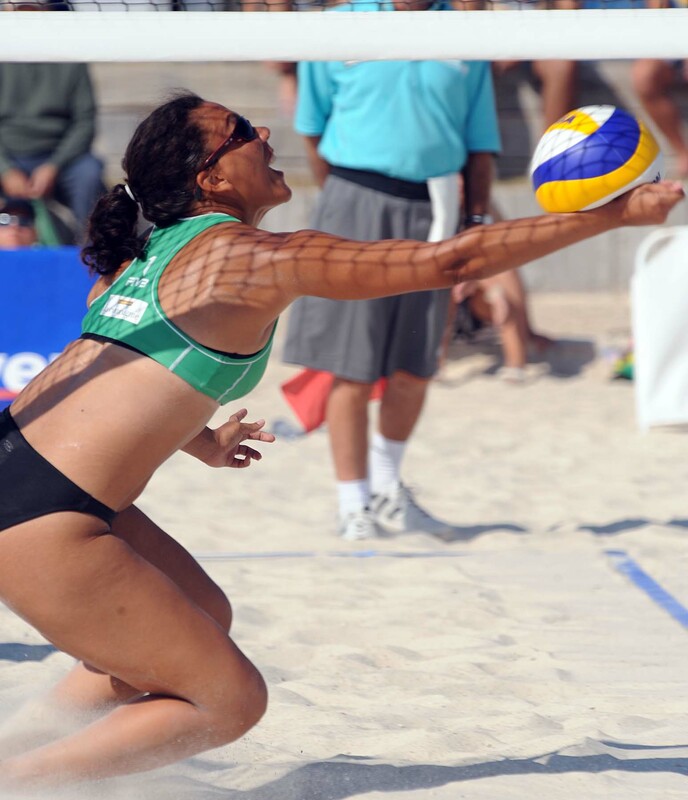 However, I was a quick learner and within some months of practice in CNFVB I started to perform well. Ever since, I got the volley-ball virus. Favourite actor/actress: Leonardo Di Caprio and Julia Roberts. Favourite song: Killing me softly and Linzy Bacbotte’s segas. Three things you must have when you travel: Toothbrush, a book and a nice dress for a good party.